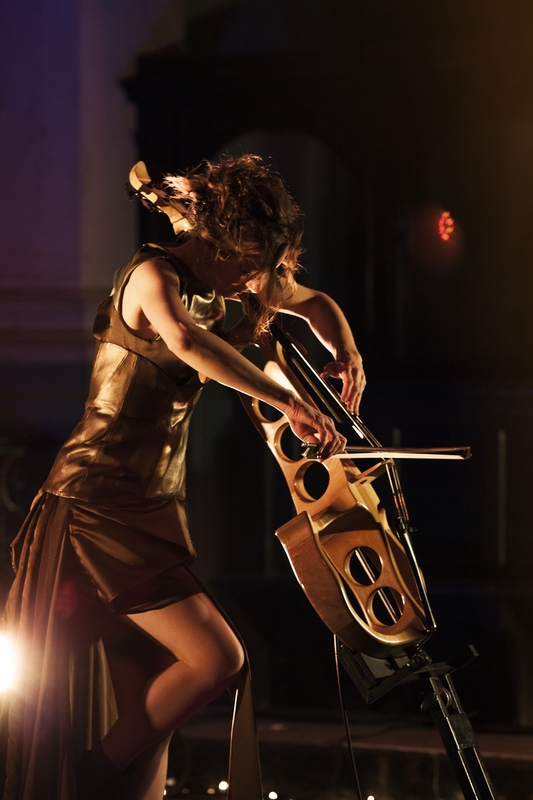 In my heart of hearts, and as with so many others who favor a sense of beauty with their experimentations, post-industrial’s premier cellist has been—at least for the past decade—Vancouver’s own Julia Kent. Now based in New York City, Kent has been a long-time collaborator with the likes of seminal souls in Antony and the Johnsons, Current 93, Larsen, and others. Her Last Day in July EP struck a particular chord within me in 2010, leaving a lasting impression that has been difficult to shake for the past half-decade. Coincidentally, in the same year, London saw a new face emerge out of the shadows of some of post-industrial’s most elite artists: Jo Quail. Indeed, Quail has her own lineage of collaborators to speak of from Tony Wakeford and Rose McDowall to Matt Howden and Lloyd James, but it wasn’t until her self-released debut, From the Sea, came into focus that she would finally confidently stand on her own as perhaps the most fundamentally gifted and instrumentally forward-thinking among her contemporaries, with a concrete vision for her music that is unmistakably hers and hers alone. Whereas Kent’s most impressive work has been on the subtle, somber side, utilizing loops to create ridiculously lush and emotive pieces, Quail’s focus finds its foundation in more progressive and percussive roots. Using a similar albeit arguably more complex looping approach, Quail’s compositions may swing down the breadth of emotion towards those lowly melancholic melodies, but her sound is surely elemental in nature. It is the sound of ocean waves crashing against the precipitous coasts of Cornwall; of thunderstorm clouds gathering in the distance over the open fields of Devon; of gently falling snow on the secluded island of Fair Isle, north of Scotland’s mainland; of the countless fires that burned to keep the darkness at bay across her homeland over thousands of years of violent history. It’s no surprise, then, that her forthcoming new album, tentatively titled Five Incantations, invokes everything from the humble salamander and the noble white stag to the desolate space that exists between two solitary waves. Truly, Quail’s work to this point has been nothing short of mesmerizing, continuously shifting and evolving into something new and always elaborate despite being built off of the same looped, cello-based foundations, and Five Incantations aims to be the crowning achievement of that evolution to this point thus far in her career. Of all the tracks featured on the new album, its opener, “White Salt Stag,” is the most representative of Quail’s overall style. It features every facet of her sound: driving and complex percussive chops, fragile melodies that could collapse under the weight of their own harmony with the slightest slip of a finger, unbelievably tight, flawless rhythmic looping, and that inescapable cinematic sound that so vividly evokes the imagery that has already subtly been laid out for you by its title. When you think of a cellist as an abstract archetype, the first thing to come to mind is often that textbook melodic, melancholic sound, and while Quail rightfully offers this in spades on Five Incantation and on previous efforts, it is this tight rhythmic style that gives her creations such unique character and genuine brilliance. The closest comparison that I can evoke while taking into account its complexity in time-signature, non-linear rhythmic patterns, and a grand, nearly geometric scale, is the often mind-bending work of Danny Carey and Justin Chancellor in Tool. Some may immediately walk away from this write-up thinking I’m out of my mind for even conjuring such a comparison, but I’d challenge any seasoned drummer to carefully listen to the foundational opening of “White Salt Stag” and try to convince me otherwise. Lastly, I think it’s worth noting the courage that Quail appears to possess—one which has guided her development as an artist with grace over the past six years. As any musician will tell you, it already takes a great deal of courage just to step out there and put your solo art into the world, especially after spending so much time encouraging other musicians along and playing as part of their ensembles. Quail, however, is dedicated to passionately pushing the limits of what a single instrument can give us in terms of experience both as music lovers and as musicians ourselves. And she’s done all of this while adamantly refusing to rely on label support to bring her visions to life. She is fiercely independent, and while others may be able to lay claim to my first two thoughts, this last one is impressive and remarkably rare, even at a time when home recording is so prominent and comparably inexpensive. Few are able to crush boundaries and do it with only the light of their own will to guide their way, but that is exactly what Quail continues to do. While Five Incantations isn’t yet available to the public (with the exception of “White Salt Stag,” which I’ve premiered above), it will soon be available—on March 21st—worldwide. Quail will also have copies of the album ready for purchase for fans at album launch premieres in Australia (February 18th) at the Melbourne Recital Centre and in London (March 19th) at St John on Bethnal Green. In other words, be patient, because you’re about to be rewarded with one of the most promising albums that 2016 will have to offer for fans of instrumental music.